Aim: The study aimed to determine the factors associated with periodontal disease (different levels of severity) by using different regression models for ordinal data. Design: A cross-sectional design was employed using clinical examination and 'questionnaire with interview' method. Materials and Methods: The study was conducted during June 2008 to October 2008 in Dharwad, Karnataka, India. It involved a systematic random sample of 1760 individuals aged 18-40 years. 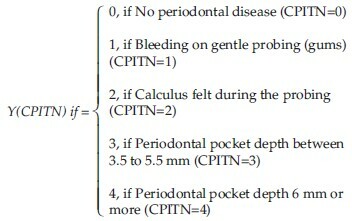 The periodontal disease examination was conducted by using Community Periodontal Index for Treatment Needs (CPITN). Statistical Analysis Used: Regression models for ordinal data with different built-in link functions were used in determination of factors associated with periodontal disease. Results: The study findings indicated that, the ordinal regression models with four built-in link functions (logit, probit, Clog-log and nlog-log) displayed similar results with negligible differences in significant factors associated with periodontal disease. The factors such as religion, caste, sources of drinking water, Timings for sweet consumption, Timings for cleaning or brushing the teeth and materials used for brushing teeth were significantly associated with periodontal disease in all ordinal models. Conclusions: The ordinal regression model with Clog-log is a better fit in determination of significant factors associated with periodontal disease as compared to models with logit, probit and nlog-log built-in link functions. The factors such as caste and time for sweet consumption are negatively associated with periodontal disease. But religion, sources of drinking water, Timings for cleaning or brushing the teeth and materials used for brushing teeth are significantly and positively associated with periodontal disease. Background and Objectives: The purpose of this study was to evaluate the positional changes of the periodontal tissues, particularly the biological width, following surgical crown-lengthening in human subjects. Materials and Methods: A clinical trial study involving 15 patients was carried out for a period of 6 months. Sites were divided into 3 groups: treated (TT) sites, adjacent (AD) sites and nonadjacent (NAD) sites. Free gingival margin [FGM], attachment level, pocket depth, bone level, biological width [BW] were recorded at baseline, 1, 3 and 6 months. Direct bone level after flap reflection was recorded before and after osseous resection at baseline only. Level of osseous crest was lowered based on BW, and supracrestal tooth structure needed using a combination of rotary and hand instruments. Statistical Analysis: Student t test and ANOVA were used. Results: Overall, apical displacement of FGM at TT, AD and NAD sites was statistically significant compared to baseline. The apical displacement of FGM at TT site was more when compared to that at AD and NAD sites at 3 and 6 months. The BW at the TT site was smaller at 1, 3 and 6 months compared to that at baseline. However, at all sites, BW was reestablished to the baseline value at the end of 6 months. Interpretation and Conclusion: The BW at TT sites was reestablished to its original vertical dimension by 6 months. 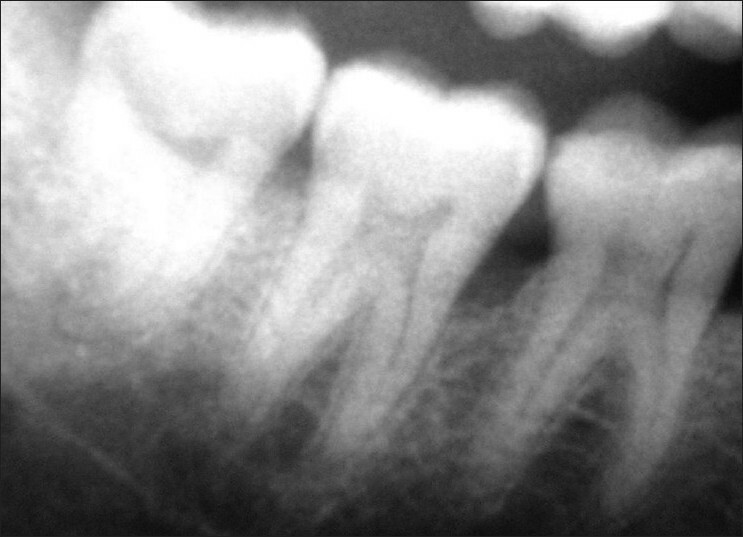 In addition, a consistent 2-mm gain of coronal tooth structure was observed at the 1, 3 and 6-month examinations. Background and Objectives : A healthy periodontium is an important prerequisite for unhindered dentition and long-term oral health. In cleft subjects, especially in those with cleft lip, alveolus and palate (CLAP), maintenance of oral hygiene is a difficult task for the patients because of the patent oro-nasal communication. Crowding of teeth in cleft patients is a common finding, especially in those with CLAP and those with cleft palate (CP). 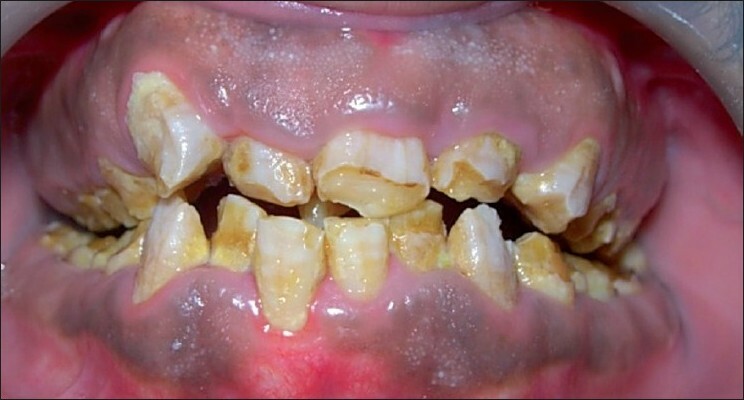 In the case of multiple tooth-malpositions , transverse deficiency, arch length deficiency and primary cross-bite; periodontal trauma increases and is detrimental to periodontal health . 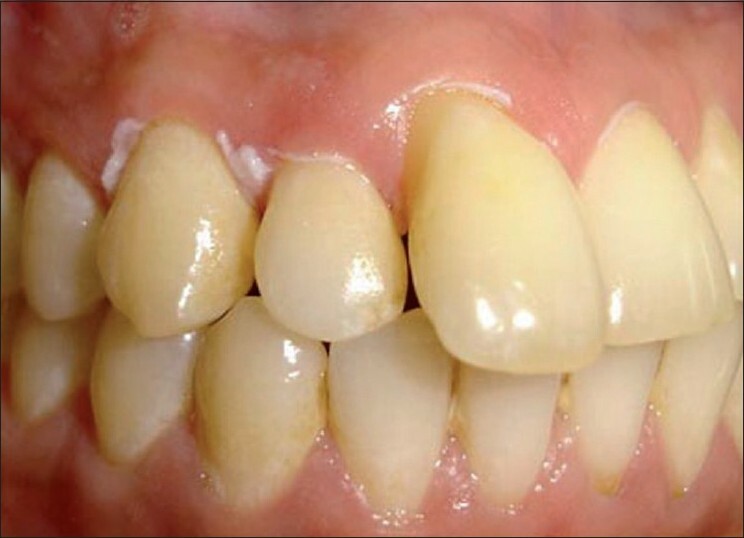 According to literature, a critical periodontal situation was found in patients with CLAP. Hence a study was conducted to analyze the periodontal status of patients with cleft lip (CL); those with cleft palate; and those with cleft lip, alveolus and palate. Materials and Methods: The present study consisted of 60 cleft subjects divided into 3 groups: those with cleft lip; those with cleft palate; and those with cleft lip, alveolus and palate. Subjects with permanent dentition were selected, and the clinical examination included determination of oral hygiene status using Oral Hygiene Index - Simplified (OHI-S) index and periodontal status using community periodontal index (CPI). Results: Statistically significant increase in the periodontal disease in the CLAP group as compared with the other 2 groups, and the oral hygiene was seen to be generally poor with the CLAP group. Interpretation and Conclusion: Individuals with clefts are more prone to periodontal disease due to the presence of cleft, which causes retention of food in the defect sites and inability to maintain good oral hygiene; but the severity of periodontal disease is more if the defect is large and involving the lip, alveolus and palate. Aim : The aim of the present study was to evaluate the periodontal risk of individuals using the modified periodontal risk assessment model. Materials and Methods: Adult subjects aged 30-60 years attending the out patient department of Institute of Dental Sciences, Belgaum in a week's period were screened and 30 among those who met the criteria were included in the study. Complete history and examination of the oral cavity was done using mouth mirror and community periodontal index probes. Periodontal status was recorded using community periodontal index. Systemic conditions like hypertension and diabetes was assessed by suitable investigations. 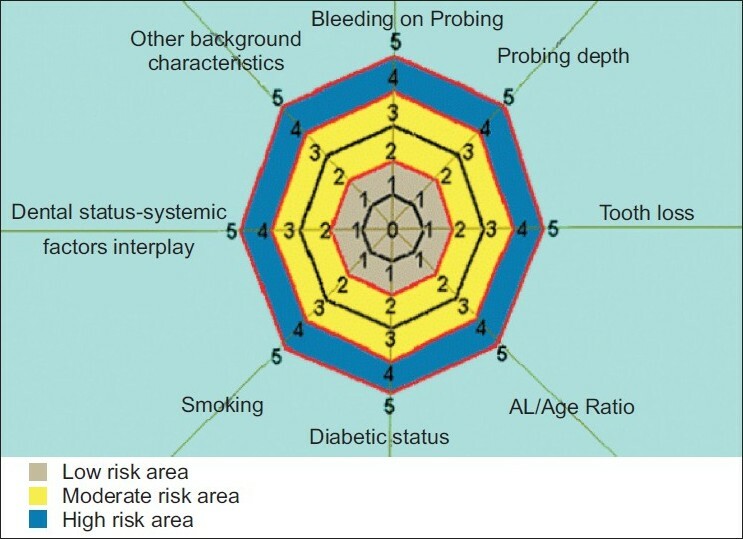 All the risk factors were plotted on a model using Microsoft excel and periodontal risk was assessed based on the findings and categorized as low, moderate and high risk. Results: Among 30 patients 13 were in low risk group, 10 in moderate risk group, and 7 in high risk group identified by proposed model given by Vishwa Chandra whereas 20 patients were in low risk group, 5 in moderate risk group and 5 in high risk group when identified Lang and Tonetti model (2003). Conclusion: In conclusion the use of risk assessment tool would result in reduction of complex therapies and would prevent the future effects of periodontal disease such as bone and tooth loss. Background: Chlorhexidine varnish (Cervitec- Ivoclar Vivadent- Liechtenstein) is a sustained-release delivery system that can provide protection against white spots and gingivitis, which are common iatrogenic side effects of orthodontic treatment. 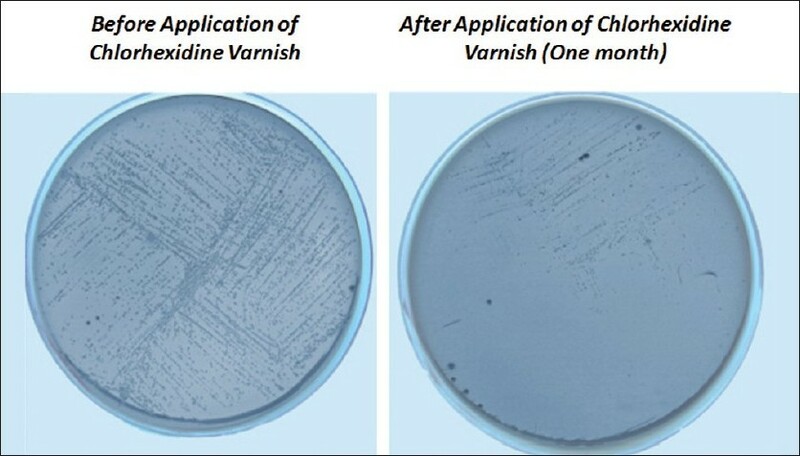 Chlorhexidine in varnish form does not depend on patient compliance, does not stain teeth or alter taste sensation like the mouth rinse. 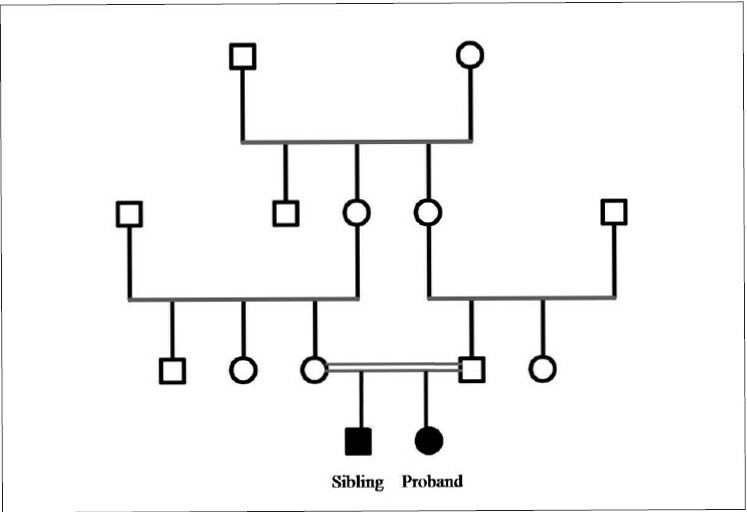 Materials and Methods : A split-mouth technique was followed in the treatment of 30 patients selected by stringent selection criteria, evaluating a single application of the test varnish on two randomly allotted quadrants along with a placebo on the other two quadrants. Streptococcus mutans counts responsible for white spots and P. gingivalis count [using PCR test] responsible for gingivitis were done at the start of the study, and then 1 and 3 months later. Results: The chlorhexidine varnish reduced the Streptococci mutans count at the end of 1 month, and this reduction was statistically significant. At the end of 3 months, there was no difference in the S. mutans counts between the two groups. There was a statistically significant reduction in the P. gingivalis count at the end of both 1 and 3 months in comparison to the placebo group. Conclusion: Chlorhexidine varnishes are capable of reducing S. mutans and P. gingivalis and gingivitis, thus improving the overall oral health of the patient. The side effects of chlorhexidine mouth rinses are not seen with this varnish. An application schedule of at least once a month is recommended as the effectiveness is reduced comparatively at the end of 3 months. Peripheral cemento-ossifying fibroma is a reactive gingival overgrowth occurring frequently in anterior maxilla. It is a slow-growing benign tumor which may lead to pathologic migration and other periodontal problems, so it should be excised as soon as possible. The recurrence rate of peripheral cemento-ossifying fibroma is reported to be 8% to 20%, so a close postoperative follow-up is required. Herein, we are reporting a similar case of peripheral cemento-ossifying fibroma in the maxillary anterior region. White lesions of the oral cavity are not uncommon though majority of them are benign. 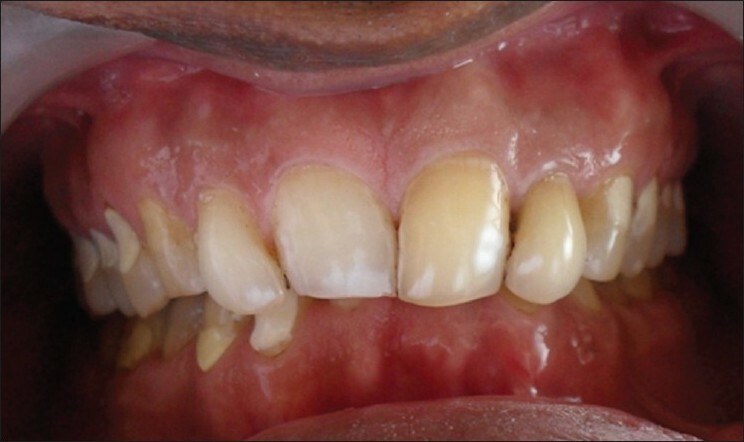 This case report documents a rare case of idiopathic linear leukoplakia of gingiva with no apparent etiology. Initial examination revealed a non-scrapable linear white lesion on the marginal and papillary gingiva of upper right teeth region. Incisional biopsy was taken for pathologic evaluation. Patient was treated with routine oral hygiene procedures and excision of the lesions. The histopathological results demonstrated hyperparakeratinized/orthokeratinized hyperplastic oral epithelium with orthokeratin-filled clefts and with no dysplasia. Clinical results demonstrated no recurrence after electrosurgical intervention. 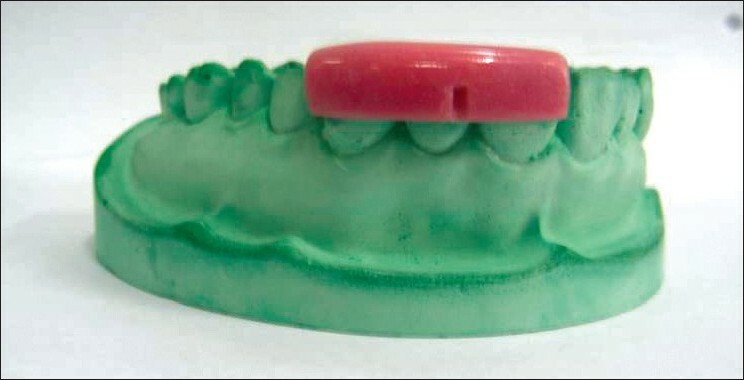 This paper reports a rare case of idiopathic linear leukoplakia of gingiva which was non-dysplastic in nature. Electrosurgical treatment proved to be successful compared to surgical technique as there was no recurrence even after two years of follow-up. 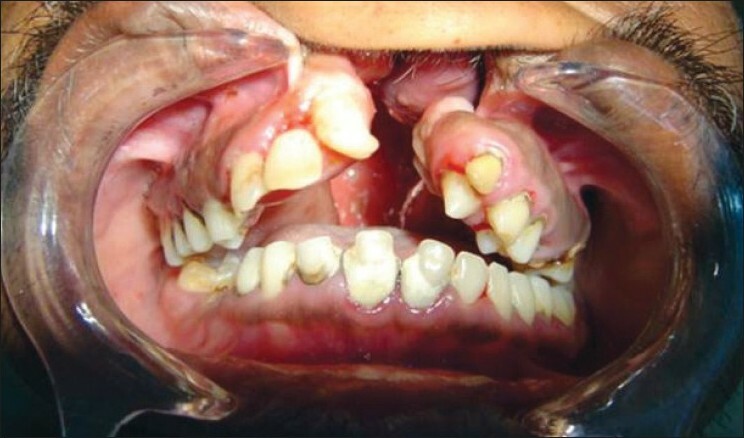 Haim-Munk syndrome is an extremely rare autosomal recessive disorder of keratinization characterized clinically by palmoplantar hyperkeratosis, severe early onset periodontitis, onychogryphosis, pes planus, arachnodactyly, and acro-osteolysis. Recently, germline mutations in the lysosomal protease cathepsin C gene have been identified as the underlying genetic defect in Haim-Munk syndrome and in the clinically related disorders, such as Papillon-Lefθvre syndrome and prepubertal periodontitis. The periodontal disease associated with these syndromes is particularly aggressive and unresponsive to traditional periodontal therapies. As a result, most patients become edentulous by 15 years of age. This case report describes a patient with the cardinal features of Haim-Munk syndrome.